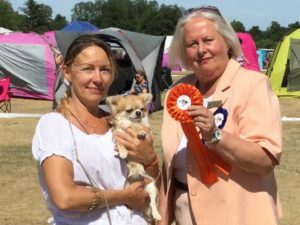 CH, Multi W Ruta Del Sol Sundance – BOB, CACIB & Estonian Winner 2018! JCH Ruta Del Sol Diamonds Are Forever (interm) – bf 3 , RACIB! Big Congratulations to Taco owner Galina !